The Summer Sizzler Car Show & Motorcycle Poker Run benefits the Muscular Dystrophy Association. The event is being held at an exciting new location this year Remington Park. The car show features 13 categories including Classic cars, Kustom cars, Muscle cars, Trucks, SUVs, etc. The Poker Run will take you on a 50 mile scenic route. 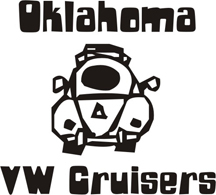 Participants for the Car Show and the Motorcycle Poker Run can pre-register at any Oklahoma 7-Eleven Store until Wednesday, June 16th and receive one 2014 commemorative t-shirt the day of the event and save $5. After June 16th participants can register the day of the event. The cost of admission for spectators FREE. There will also be a live auction, kids corner, and loved food trucks! For sponsorship and vendor opportunities, contact Moira McCarthy at the MDA office, 405-722-8001. Meet at Petro truck stop 9am, 8am if you want to eat. Are you there at 08:00? So far about 4 or 5 for Bfast. maybe 10 at the show. Racer Dave you coming or are you done? Probably not. I'm actually off today. I just got my Ghia running again after breaking the transaxle 6 weeks ago. I will be going to the Midwest City Coffee & Cars for a few hours. Then I have to get ready and be at the track around noon to race this afternoon in the Nostalgia Nationals at the drag strip. Pretty nice turnout! Lots of new faces. Im guessing from Facebook. Pics posted in the gallery. See you next week.